Being a parent entails a lot of responsibilities. Being a parent of a child with autism takes on yet another dimension. Join us as parents of persons with autism (PWA) relate their travels, travails, and triumphs, as well as their pains and their gains, in rearing their children. In the spirit of the 12th National Conference and 2nd Southeast Asian Conference on Autism held on 28-29 April 2012 at the Crowne Plaza Manila Galleria, the Autism Society Philippines Cavite Chapters, in partnership with the Municipal Government of Carmona, Cavite, will be holding the 5th Regional Conference on Autism, themed “Living with Autism: HOPE@HOME,” on 8-9 September 2012 at the San Lazaro Business and Leisure Park in Carmona, Cavite. The conference brings to South Luzon topics and discussions that aim to enrich parents, professionals, students, and government officials with knowledge and skills in helping people with autism become fully functional members of our community. 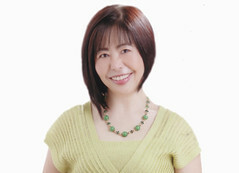 Ms. Koe, better known as Mommy Dang, is the Chair Emeritus of Autism Society Philippines. She holds a bachelor's degree in Communication Arts at the University of Santo Tomas and a master's degree in Communication Arts at UP Diliman. 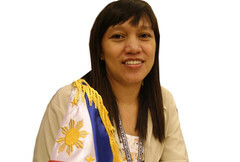 She is currently the Vice President for Enterprise Core Services at Armadillo Holdings, Inc. Her write-ups can be seen in a column of Manila Bulletin’s Education section titled “Angels’ Talk.” For her works and achievements in autism advocacy, she received UST’s 2009 The Outstanding Thomasian Alumni Award for Humanitarian Service. She is a mother of three, including Gio, 18 her eldest son, who is on the autism spectrum. 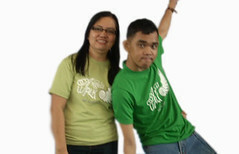 Dr. Cagingin, known as Doc Malu, is the President of ASP Dasmariñas Chapter, and the Director of Sta. Belina Learning Center, Dasmariñas, Cavite. She earned her undergraduate degree at UP Diliman and received her Doctorate in Medicine at De La Salle Health Sciences Institute. She also is the author of “Mama…Yes, Anak?” a book that highlights her and her family’s journeys, being a mother to a 26-year-old adult with autism, Chico. Ms. Lopez, better known as Mommy Cathy, is the Vice President of ASP Laguna Chapter and a Job Coach at the Autism Resource Center in Laguna. 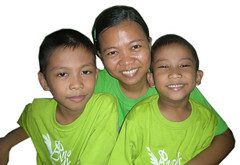 She obtained her bachelor's degree in Chemical Technology at TUP Visayas, but started becoming a hands-on mom since 1994 and a freelance tutor to children with special needs. She is an active team member of ASP Laguna in conducting training for parents, teachers, professionals, and caregivers, as well as being the Siblings Workshop Coordinator of ASP Laguna since 2009. 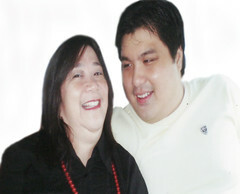 She is a mother to 20-year-old person with autism and self-advocate Ian. Mr. Malapad, or Daddy Evert, is the President of ASP Metro South Chapter. He is a bachelor's degree holder in Industrial Management, but also obtained his Secondary Education degree and his master's degree in Education major in Special Education at UPHDS Las Piñas. His journey with his daughter with autism, Mae-Mae, 17, has led him to be more involved in the adult program for individuals with special needs. Ms. Martinez, or Mommy Adel, is a faculty member of the Teacher Education Department (SPED Major) at Sacred Heart College, and is also a Special Education teacher at Harvest of Hope Foundation in Lucena City. She is a graduate of BS Commerce major in Accounting, with units in Education, and has master's units in Special Education. She conducts training for parents, teachers, students, LGUs, companies, and NGOs in Lucena and other communities in Quezon. She is a mother to a young adult with autism and a budding teacher, JR, 20. Ms. Udquin, or Mommy Beth, is a member of Autism Society Philippines' Board of Trustees, and the President of ASP UP CAMP Chapter. She has a bachelor's degree in Clinical Psychology, and has worked as administrative staff and part-time faculty at EARN Computer School. Currently, she is a full-time mom engaging in the buy-and-sell business with her two boys on the spectrum, Cholo, 7, and Tristan, 5. She has been active in autism advocacy since 2010.